You should definitely also check out the other videos in the eyeo collection, and watch out for upcoming releases, there were literally dozens of great, great talks. And find the slides here. Also make sure to watch the other speakers as well – everyone was very inspiring and unique! The well-formed.eigenfactor project will be at display at the Information Aesthetics Showcase, curated by Victoria Szabo, at SIGGRAPH 2009, August 3–7 in New Orleans. I will also give a little Monday morning talk on the project and am really excited to be part of this first intrusion of the information aesthetics scene into the conference on computer graphics! For those from the Stuttgart area: I will give a public (german) talk on Monday, April 20, 6:30pm at HfG Schwäbisch Gmünd on information aesthetics and my work. Update: lecture slides here. Thanks to Eric Rodenbeck and the other see#4 speakers for some last minute inspirations! A recording of the alumni panel at the fifth anniversary of the interface design programme at FH Potsdam. Featuring Carolin Nagel, Andreas Zecher, Jens-Ove Panknin, Timm Kekeritz, and me. Alumni-Diskussionsrunde – 5 Jahre Interface-Design from Boris Müller on Vimeo. 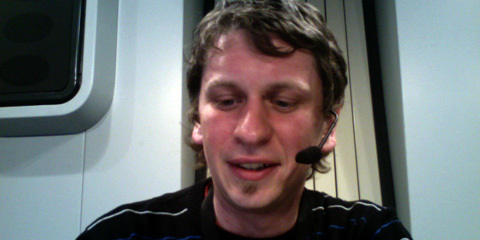 The video from my (german) xtopia talk is online. You need either the silverlight browser plugin to play it back, or you can download a high res version directly (144MB). And here are the slides. Update: Here it is on vimeo as well. More web-friendly. I speak about my work for the MACE project, and other ongoing work as well as some of the US election visualizations. The talk was fun and also received quite well; in the audience evaluation, I scored 7.88 (out of 9) for presentation style, 8.33 for competence, 7.85 for content of the presentation and 6.82 for business relevance. In other news, things are a bit cumbersome at the moment, because I broke my leg and this will take a while to heal… But, it gives me the time to work on my portfolio page, which should be online soon. Short notice: I will re-play my xtopia talk from yesterday today at BTK Berlin at 5pm. Partly presenting my own work, plus a discussion of visualizations around the US presidential elections. 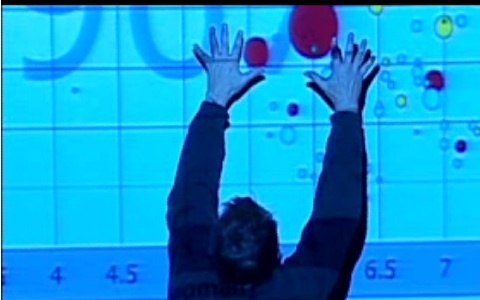 Watch Myths about the developing world, a talk by Hans Rosling from gapminder.org Intense, thrilling, passionate. 10/10.